Who Invented Alcohol? - Who Invented? / FOOD / Who Invented Alcohol? Neolithic Man – The invention of alcohol dates back to Neolithic man 10,000 years BC. Evidence has been found by archaeologists in late Stone Age jugs that they intentionally created fermented drinks. Similar archaeological findings in China dating back to about 7,000 BC indicate that they had worked out how to ferment a combination of honey, rice and fruit. Interestingly, China has stuck with the evolvement of rice based fermentation through to the modern day. Egyptian history has records of beer being produced and consumed around 3,400 BC. The ancient remains of the world’s oldest brewery still exist in Heirakonpolis in Egypt today and when it was in full production it is thought that it was capable of producing up to three hundred gallons of beer a day. The Ancient Egyptians made 17 types of beer and 24 varieties of wine. It was so important in society that it was offered in worship to their Gods. Alcohol in varying forms was being developed at different sites around the world during a similar time period. In India there was a rice drink between 3,000 and 2,000 BC. In Greece they created a drink known as mead from honey and water. Some of the main Greek philosophers mention alcohol, Hippocrates identified the many medicinal properties of wine and its therapeutic application, Plato was supportive of promoting the moderate consumption of alcohol but both Plato and Aristotle were unfavourable towards drunkenness. Babylonian history indicates that they were worshipping a goddess of wine around 2,700 BC. The Romans eventually favoured wine over beer. The wine was watered down but it was required in such vast quantities that they ensured wine-making production spread throughout their Empire. Although there are examples of distillation by the Greeks as early as the 1st century AD, it wasn’t until the 16th Century that spirits began to feature in society for consumption, which was initially mainly for medicinal purposes. A popular saying goes that the 16th Century created spirits, the 17th Century consolidated them and the 18th Century popularised them. Another well-known alcoholic beverage which was created during the 17th Century was sparkling champagne. In the 18th Century the British Parliament passed a law encouraging the production of distilled spirits using grain, but this back-fired as production did increase and cheap spirits became widely available by the mid-18th Century to the point that alcoholism became a recognised problem. In contrast to the 18th Century, a change in attitude and a push for temperance prevailed in the 19th Century – resulting in the Prohibition of manufacture, sale or consumption of alcohol in the USA between 1920 and 1933. 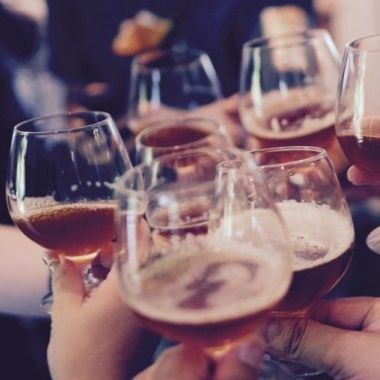 Since then an ever increasing knowledge and continued research on the negative effects of over-indulgence in alcohol and its impact on health has slowly changed social attitudes to promote a sensible approach to alcohol consumption which prevails today. Alcohol first discovered by an Iranian/Persian polymath, physician, alchemist, philosopher called “Muhammad ibn Zakariya al-Razi”. He also discovered numerous compounds and chemicals including kerosene, among others. That it. No more BS or broscience. Guys. Alcohol was discovered, not invented. And Zakaria Razi, Iranian scholar discovered that.